as promised here is my short and sweet post! I need a burst of summer colour after being in London. 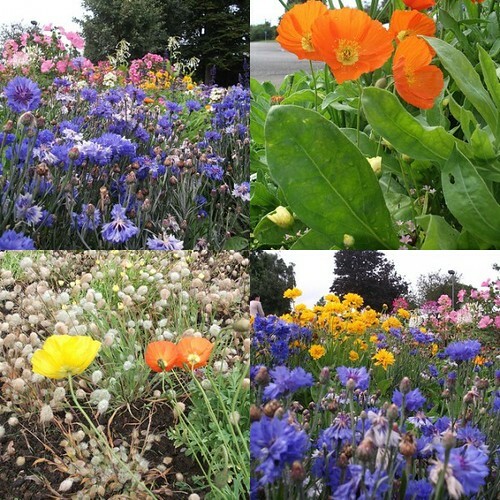 these lovely colours were found in our local park. this little project was begun on the train and is coming along super fast! 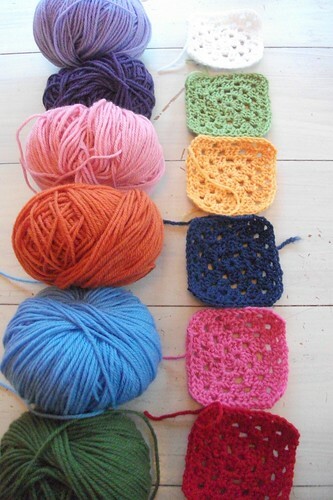 I just love the whole crochet as patchwork idea! will show you more soon. Have a good start to the week now! All that'll those gorgeous flowers - wow!